When it’s time to head to the 139th International Audio Engineering Society Convention at the Jacob Javits Center in New York (October 29 to November 1), there will be no easier way to get there than via the 7 train subway line, thanks to the opening of the brand new 34th Street – Hudson Yards station directly across from the convention center. The 7 Flushing Local/7 Flushing Express line now brings riders right to the Javits Center and makes three additional stops at key Manhattan locations: Times Square, 42nd Street at Bryant Park/Fifth Avenue and Grand Central Station. The 7 train’s route is in purple on the New York City MTA subway map. The 7 Flushing Local stops are identified by a purple circle and the 7 Flushing Express stops are indicated by a purple diamond. Riders can take the 7 train from Queens all the way from Main Street in Flushing. The 7 train connects with transfer stations to subway lines that go to Penn Station, the Port Authority Bus Terminal and the AirTrain from JFK Airport, to facilitate travel for people coming to the 139th AES from outside the area. To view a New York City subway map please click on the following link: http://web.mta.info/maps/submap.html. To register for your FREE Exhibits-Plus or premium All Access badge, click here: http://www.aes.org/events/139/registration. 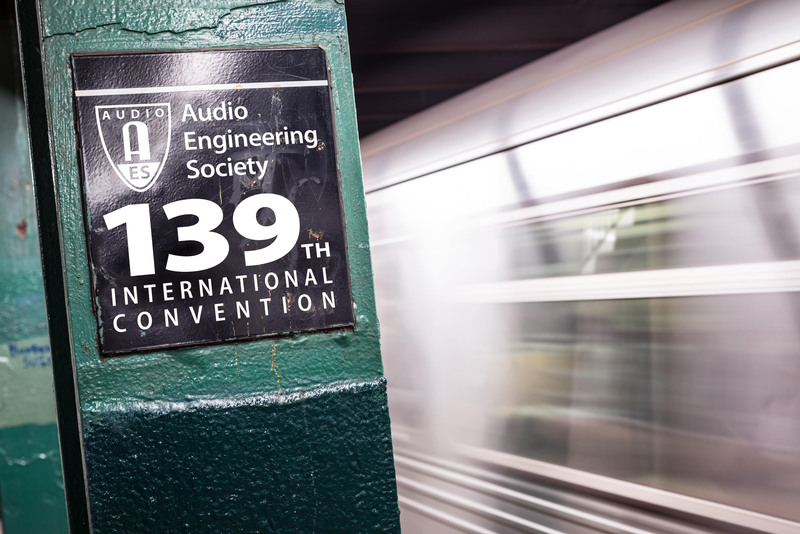 For the latest information on the Audio Engineering Society 139th Convention in New York City, visit: http://www.aes.org/events/139.